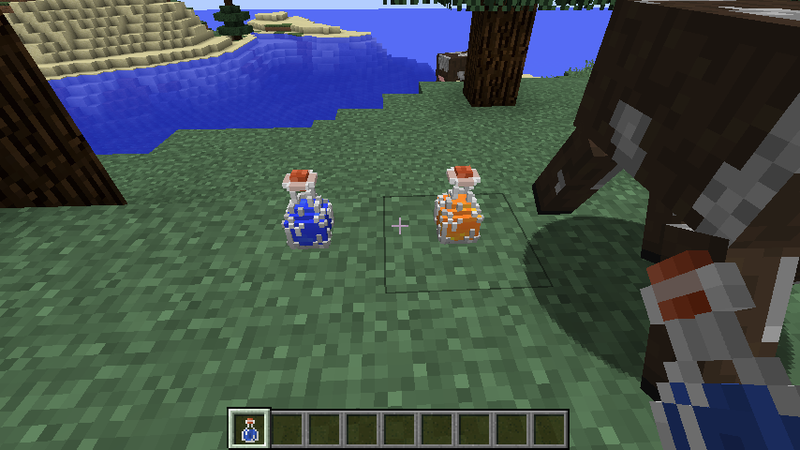 Welcome to the Placeable Items mod! The goal of this mod is to allow you to place items to decorate your home, granary, artist gallery, stable, and many more. Tons of items have fun interactions you can enjoy by right-clicking them. That's all also I'd appreciate if you can send me the link to your published modpack once it's done. You do not need my written consent as long as you respect the conditions. If you fail to respect those conditions, you are not allowed to use the mod in your modpack. I feel like this section should not exist, but as some people have bad intentions, here it is anyways. I'm glad this mod took off and is still going, it's such a cool idea. This is a really nice mod indeed. Its a shame Mojang never take many examples from mods like these. Thank you for telling us, I will be fixing this by tonight! The ingot stacking issue has been solved as of 3.0.2.2. Thanks for telling us Kluckart. and no problem. i am glad to see that issue got fixed. and i will get the latest version! EDIT: i forgot to ask a question.. can you make the mod to be able to use the 3D resource pack that i am using.. maybe using it to replace the current pack that mod has its own? There shouldn't be any compatibility issues between your texture pack and the mod. If there is, make sure to let me know. Thats strange.. i am using 3D model resource pack for minecraft.. but i can see that mod's default texture pack is still there..(in other world, i dont see the 3D model resource pack when i placed these ingots). thats why i asked you to see if you can make mod use the resource pack i am using... rather than use the default texture pack that mod has. EDIT: i found another bug.. thats not good. it may be challenge for you to try fix it. so it is successful that i can place 6 ingots in the same location (the limit is 6, not 9) thats fine.. but one problem is when i want to break the whole 6 ingots so i can pick up all of 6.. it created one extra ingots.. which i got 7 ingots.. i think breaking caused a replicating. thats the bug. can you also add a feature where i can just pick one ingot at a time by using right click.. but if i want to pick all of the ingots, "sneak + right click" can be used for that. Because of the way the models map their textures (UV mapping) it would be impossible for the mod to use the texture pack directly. The only option to make this work would be if the texture pack maker would also create the textures to override the Placeable Items textures. That sounds like another bug, very sorry I will push a fix ASAP, will also add the possibility of shift+rightclicking to remove an ingot. no problem and there is no need to apologize for such a bug... i am just reporting it.. so you can make your mod a better mod.. well bug-less mod.. if you know what i mean. and i will check the latest out... i will let you know if i find any bugs. and oh yes.. about the resource pack.. i guess i will figure it out. FYI, i wasn't able to check out your latest version mod because i had a wedding to attend and it was my brother.. of course.. so i got my chance to check out your new version mod.. i found another bug..
but this time, its opposite.. its not "gaining a extra ingot" anymore.. its losing one ingots.. so if i placed 6 ingots, and i wanted to pick all of them.. but in return, i got 5 back in my inventory. but i tried the "shift + right-clicking".. there is no problem with that.. its excellent. i was able to pick up these ingots one by one..
Hey, I just tried it out and am unable to reproduce the bug. I'm getting the 6 drops when placing 6 ingots. Are you sure you're using the latest version? yes i am 100% sure that i am using the latest version. i did mentioned that i checked out your latest version mod. and now thats strange.. did you just use "click-right" but no shifting? that would break the whole block of 6 ingots. New update, here is the change log! You can now plate all of the food items!